Driving a trailer at the best of times can become challenging, however, doing so in slippery conditions can make that skill even more challenging. We discuss how you should be driving trailers at Christmas and offer a couple of useful tips. When you are driving your trailer, it is worth considering how your driving impacts other road users. In most scenarios, other drivers will be understanding of your lower speeds. However, there will occasionally be a driver that is inpatient and will look to overtake you. A good way to help other road users out is to make sure that you are regularly checking your mirrors for any build up in traffic. If so, remember to pull into hard shoulders now and then to reduce the amount of traffic you hold up. Driving conditions must be considered in every environment, not just at Christmas. If you are intending on driving in wintery conditions with a trailer, you must explore the possibility of jack-knifing. This happens when the trailer spins out of control and can no longer be kept in a controlled state. It is always worth driving to the conditions that are presented. Although speeds are restricted for those carrying trailers, it is worth driving at lower speeds if the weather continues to decline. This will significantly reduce the chances of any accidents and help you remain safe on the roads. 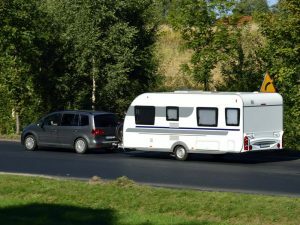 Before you can start to tow at Christmas, you need to make sure that you have the correct category on your driving licence. Unfortunately, you cannot drive a trailer without the B+E classification on your UK driver’s license. 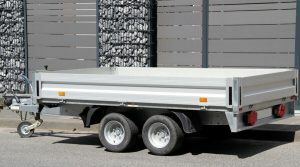 The B+E Course, once passed allows drivers to tow and carry trailers legally. There are a number of additional classifications available that include C1, D1 and more. You can view all of the categories here.